HomeArticles | NewsLatest PostThe CFPB makes me feel like when I just left my house and the firetruck went the other way with full sirens. 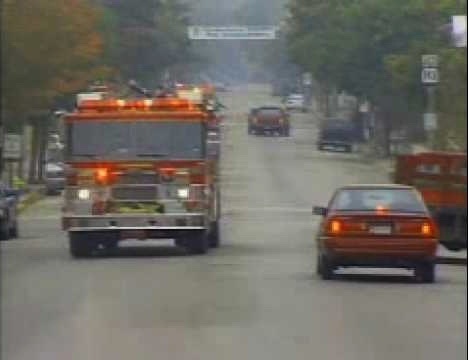 The CFPB makes me feel like when I just left my house and the firetruck went the other way with full sirens. It amazes me the power the CFPB has and is exerting on the debt collection industry as a whole. As a consultant daily, I am looking for ways to help protect my clients yet, still allow them to make some money. At times it seems like no matter what we do as an industry, the firestorm may still hit at any minute. Like when you just left your house and you know you turned off the coffee pot, heater and such, but when the firetruck blazes past you headed back in that direction and you begin to doubt your efforts at fire prevention or what I call, “CFPB prevention”. Unfortunately, it’s not what you have done wrong that will be your downfall. It is just timing and location as much as anything or any fault. If you’re in the path of an unhappy consumer that gets past your public efforts at a complaint opportunity, and the consumer gets to the CFPB or a consumer lawyer, it will cost you money, whether you are at fault or not. The fire can burn your house just because it existed. So what do we do? The answer? All that you can! Don’t just hope nothing happens to you that your ‘too small to matter’ because at some point, you will be wrong. You have to find as many ways as possible to reduce the risk by directing the consumer to complain to your website, staff or anything except the CFPB or a consumer attorney. You have to do ALL possible to train your staff and write policies that reduce the risk, no matter the size of your business. You have to look for vendors that can help with things like voice analytics and litigant debtor scrubs, or automation platforms that help mitigate risk. What I suggest is you hire a consultant or outside agency to review your current policies and suggest improvements to the same. Sometimes you may need a compliance auditor and sometimes just a smart consultant, but often both. Call me to learn more about how Lighthouse Consulting can help your business avoid the pitfalls of compliance failures.